How do you stand out among your competitors? How do you make a splash, get noticed, create a buzz? The answer is as old as stores, themselves. Signs! Using signs and window graphics, you can reach a customer base without too much effort. Window graphics are designed to make your business stand out among others. Think about it. Whether you are on a busy street or in a crowded mall, the best way to draw traffic is to employ the use of window signs. Businesses are often regulated by village, town or city codes that are strict about certain signs. 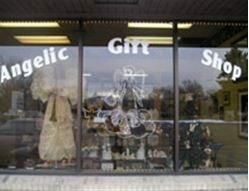 That’s why it makes sense to utilize window graphics to their fullest potential. Window graphics have a greater impact than sandwich boards or other types of street side signage because they can be big and powerful like billboards or bench advertising. And what’s best about using window graphics is that they don’t require monthly rental fees like billboards, bus and bench advertising. Since you are already paying to lease your space, capitalize on all that window room and get started using window graphics. Turn your company’s windows into the real eyes on the world that they were meant to be. Just be sure you are sending potential customers the right message with your signs. 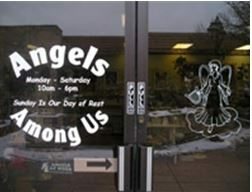 Window graphics are a great way to reveal information to potential customers and every word counts. When you want to inform people about a particular sale or promotion, be sure that information is reflected in your window graphics. Tell people about sale dates, discounts, clearances and hours of operation. Get the point across and be sure it’s clear to the public. Furthermore, the public is definitely going to notice every word you post, so if you want to make an immediate impression, good or bad (and we hope it’s good) take heed of the fact that window advertising doesn’t cost a lot and is very visible. This is one of the greatest ways to reach a mass audience. There is something to be said about small advertising as well. For instance, handing out the company logo on stickers and small decals doesn’t hurt business either. These small promotional tools keep your business on the minds of those who see these types of stickers on cars and other places and it’s that type of brand awareness that will bring people to your store. Of course, keeping your windows neat and tidy also help promote your business the way it should be seen. Using peel off, or static window clings to advertise your sales or discounts are great for seasonal promotions and can be taken off and replaced easily. These easy peel and stick window graphics are great for multiple use. Try using window graphics that still allow light to pass through. After all, you don’t want customers to be driven back outside if they can’t properly see your merchandise because of darkened windows. Not to mention that’s a little creepy to shop in a darkened store. Get out of the cave and let some light in. Use window graphics that shine light on your promotions as well as your interior! Never rule out the power of window shopping. Give your potential customers something great to look at and they will want to come in, time and again. Happy advertising!